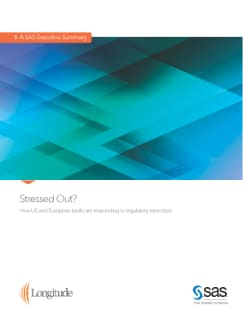 Many European and US banks have discovered that meeting stress testing compliance obligations has become a requirement to remain in business. As regulators refine and improve their approach and methodologies, banks must now adhere to more stringent compliance requirements for creating sound and robust capital plans and adhering to stress testing mandates. 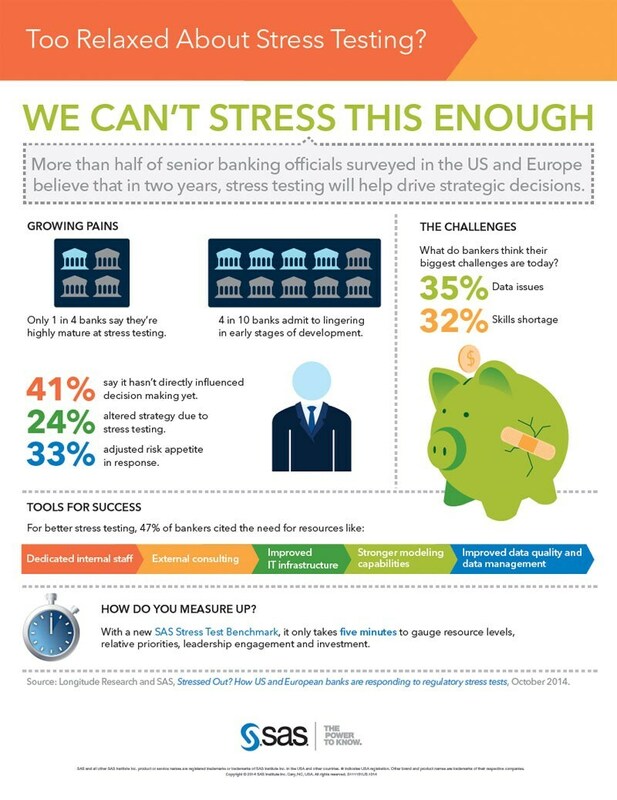 SAS and Longitude Research conducted an in-depth survey of more than 100 senior banking officials to assess how the rise of stress testing is affecting their organizations – reviewing where investment is being focused, what the key priorities are, and how this is changing the oversight and management of these institutions. This Executive Summary explains our key findings, and invites you to take the survey to gain perspective on your bank’s progress. Too relaxed about Stress Testing?